Nuclear Networking is a digital marketing solutions (DMS) firm. 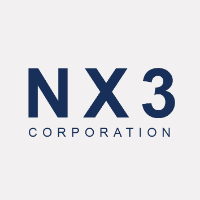 NX3 Corporation is a digital enablement agency with expertise in strategy, planning, marketing, web applications and e-business. 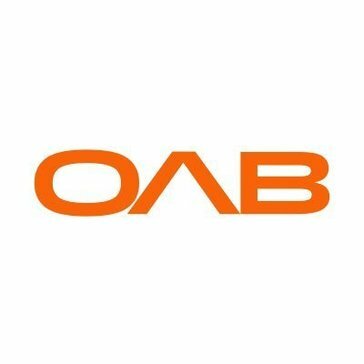 Founded in New York in 2009, OAB Studios specializes in Web Development, Mobile Applications, Games and Enterprise Solution Systems. 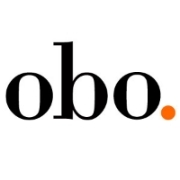 Headquartered in New York, OAB Studios has offices in Pune and Ottawa as well. We're a fast-growing agency with a global client base ranging from early stage start-ups to multinational enterprises. A modern, results focused account based marketing agency that translates concepts into reality. OgilvyOne Business is the UK's largest pureplay B2B marketing agency. Olio Tech provides web, mobile & brand positioning solutions. Olson, an ICF International Company, is a forward-leaning creative agency. Exists in order to create meaningful impact for our clients and meaningful opportunities for our people. Omelet is an independent boutique creative agency. one2edit is a web application that streamlines workflows among corporate marketing communication departments, creative agencies and prepress services providers, and translation service providers. One North is a digital agency dedicated to delivering compelling cross-platform customer experiences. One Trick Pony is a creative services company specializing in progressive advertising, design and digital solutions for a wide variety of industry and client types. A digital marketing agency specializing in marketing and advertising for small businesses. Proudly made in Michigan. 1 Source Media Group provides all forms of digital marketing and design for businesses. We are an app design and development shop based in Los Angeles, CA. We combine beauty and usability to bring you engaging brands and products. Operation Technology is an internet marketing company based in Chicago. We help B2B companies find, educate and convert new customers. Otherwise is a strategic creative studio that builds inspired ‰ÛÓ and inspiring ‰ÛÓ brands that enable clients to navigate moments of change. Ours Global is one of the leading company offering advanced Software Development, Digital Markekting, Call center, Finance and accounting etc at cost-effective price. Our company also work for back office service to multiple industries including health, insurance, real estate, automotive, retail, eCommerce, telecom, travel, logistics. Unite marketing data, optimize advertising campaigns, and increase revenue. Pace is a creatively driven marketing, advertising and branding agency based in New York City, with offices in New Jersey, Boca Raton, Orlando and Tampa, Florida. Pacsis specializes in creating, implementing and managing marketing technology solutions designed to influence people and achieve results. Palmer Ad Agency is a branding and response generation agency with offices in San Francisco and the Central Valley. PBJ is a digital marketing consulting, website development and mobile application development company in New York. The Pereira & O'Dell perspective is heavily influenced by the digital culture and focused on creating cross-disciplinary campaigns for progressive marketers. Peritus is the go-to technology consultancy for building world-class, one of a kind, web applications and web based businesses. A leading provider of ideation to execution marketing services for companies and organizations across the nation, Phase 3 Marketing and Communications is headquartered in Atlanta, and now has offices and production facilities in Charleston, Charlotte, Dallas, Nashville, and Fairfield, New Jersey, just outside New York City. We provide marketing, branding, public relations, digital development, print production, fabrication, and marketing logistics services, all from one source. Phase 3 has been a member of the Printing Impressions 400 since 2011, and was recently included in the Inc. 5000 list of fastest growing private companies. Learn more at www.phase3mc.com, or join the conversation on Facebook, Instagram and Twitter. Pipefuel Digital Marketing offers digital marketing services for Australian technology companies. Pistn offers websites and online marketing solutions for small businesses. To us its not how we feel about branding and design, its how our clients and more importantly their clients perceive them. Our job is to make your business, service and products stand out from the competition in both digital and traditional media. We combine our passion for creativity with the industrys most advanced digital technology to deliver transformative business results. Planet Media, LLC is a Denver based digital media production studio specializing in green, eco friendly web design, web development, video production, ecommerce, social media marketing and web consulting services.